Developers Union: iOS Developers Grouping Together to Take on Apple — This group is hoping to encourage Apple to improve the App Store by introducing developer-friendly features such as free trials. 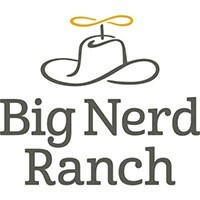 Alexa Skills Kit Development Training — Amazon partnered with Big Nerd Ranch to create Alexa training that teaches developers how to enable devices to complete time-saving voice-driven commands. Check out the full story. Video: PWA Starter Kit — Build Fast, Scalable, Modern Apps with Web Components — This talk from Google I/O demonstrates how using a few simple patterns like Redux to wire components together enables building highly scalable apps on the web like never before. Deploy Framework7 Apps to Android with PhoneGap/Cordova — An absolute beginner’s tutorial for those of you who have never before deployed a Framework7 app to a real Android device. The Essential Launch Checklist for Web Apps and Mobile Apps — This is a simple launch checklist for web and mobile apps to help product and project managers quickly test performance. The CSS Grid Layout vs CSS Frameworks Debate — Which cutting-edge CSS standards like CSS Grid Layout and Flexbox, does it still make sense to learn and use Bootstrap? Progressive Web Apps: Core Features, Architecture, Pros and Cons — A fairly detailed overview of PWAs including the pros and cons as well as popular examples of existing PWAs. Progressive Web Apps for Angular 6 and Beyond — A look at what Angular 6 includes out of the box to support Progressive Web Apps. Build a Native Mobile App Hooked to Your Enterprise Auth in 5 Minutes — Connect to Open ID, Active Directory, OAuth2 or SAML. Includes fully featured mobile backend. Try it. How to Use Any Cordova Plugin with NativeScript — You will soon be able to use any Cordova plugin in your next NativeScript app. Read on for the full details. Five Weak Spots of iOS App Security and How to Address Them — Some tips for app developers in dealing with potential security vulnerabilities on iOS. Why I Build My Apps using Texture (and Why You Should Too) — An intro to Texture, an iOS framework built on UIKit that helps keep complex user interfaces ‘smooth and responsive’. My Method for Upgrading from Ionic 3 to Ionic 4 — Josh shares his approach to transitioning from Ionic 3 to Ionic 4.
iOS Apps Should Be Inside a Network Sandbox — Hijacked or malicious iOS apps cause major security and privacy risks for users so.. why not sandbox them?